If you are looking for Clearwater homeowner’s insurance, Coleman Insurance can offer significant savings to Clearwater residents. Whether you are looking for savings or if your policy has been taken out from Citizen by a company you have never heard of, our homeowner insurance agents will be happy to help you. We have fourteen A-rated home owner insurance companies writing policies in Clearwater. These companies have names you know, with protection you can trust. Coleman Insurance can help you find a quality policy that matches your needs at a cost you can afford. 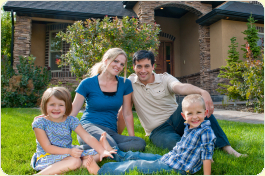 A good Clearwater homeowner’s insurance policy should give you the protection and peace of mind you need for your home. When bad things happen to good people in Clearwater, a quality homeowner’s policy provides coverage against damages and liability for injuries. You need personal property coverage to replace your personal things after a loss. Most people do not realize they are underinsured until something bad happens and by then it is too late. Do leave your home and family vulnerable. Severe weather, crime, and accidents are all a part of life. You cannot predict when bad things will happen but you can protect your home, belongings, and loved ones. Make sure to give yourself the peace of mind by knowing that your home and loved ones are protected without breaking your budget. When purchasing a homeowner’s insurance for Clearwater, there are several factors you need to consider. Make sure you get the protection you need by letting one of our homeowner’s insurance specialists evaluate your situation and detect any possible problems. Our specialists can pin point ways to save you money while ensuring you never get caught in a situation where you are underinsured for the replacement cost of your home. Our knowledgeable and friendly specialists can help Clearwater residents make savvy decisions to make sure you get the crucial protection you need for your family and home. You can choose which method you would like to use for your free evaluation and quote. Coleman insurance wants to help you get the insurance you need on your schedule and at your convenience. You can use our user-friendly online quote request or call us to get the peace of mind you need at a cost Clearwater residents can live with. Coleman Insurance Agency, is located in Clearwater, Florida and serves Hillsborough and Pinellas County including Dunedin, Tampa, Westchase, Trinity, Palm Harbor, Dunedin, Oldsmar, Tarpon Springs and other nearby communities in the Bay area. For as long as I've owned a home I was with one insurance company. That is, until I talked to Chris Coleman. He saved me more than $2,300 a year on my homeowner's insurance. He provides top-notch service as an agent, and has placed me with an excellent underwriter. After my rates went up,I was only able to afford a stripped-down homeowner's insurance policy. I called Chris Coleman and got full coverage for about the same amount of money. Thanks, Chris! Coleman Insurance has helped me save considerable dollars on my homeowner's insurance and helped my thespian group insure our new theatre for West Coast Players. © Coleman Insurance Agency, Inc. 2019 – All Rights Reserved.